Talking of smartphone designs, OnePlus has never shied away from adopting trends. From slim bezels on OnePlus 5T to a wide display cutout on OnePlus 6 to a smaller, waterdrop notch on OnePlus 6T, the company has done it all. And now, if recent leaks are to be believed, OnePlus is taking things a notch up with its upcoming OnePlus 7. So, how will it be different from OnePlus 6T? 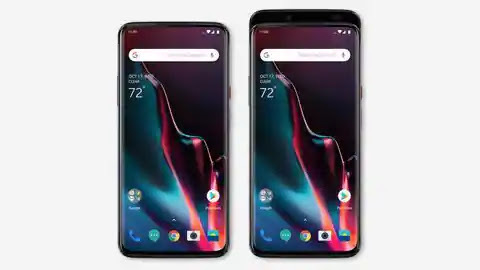 OnePlus 7 v/s OnePlus 6T: What will be the differences? As per a recent image leak, OnePlus will ditch the waterdrop notch we've come to like on the OnePlus 6T in favor of an all-screen design on the upcoming OnePlus 7. While the slider mechanism allows for an increased screen-to-body ratio, it comes with some concerns (and I am not nit-picking). Secondly, the phone will become marginally thicker and possibly more prone to damages in case of odd falls. Beyond the concerns: What else is changing on OnePlus 7? The recent OnePlus 7 leak revealed a significantly larger earpiece and the casing showed two cutouts in the slider module. Moreover, the larger earpiece suggests OnePlus might fit in a speaker to offer immersive audio - an upgrade over 6T's single speaker. It's a given that OnePlus 7 will come with the latest 7nm Qualcomm Snapdragon 855 chipset - an upgrade from Snapdragon 845 on OnePlus 6T. Further, we expect upto 10GB RAM and upto 256GB of internal storage, and 30W Speed Warp fast charging that debuted with OnePlus 6T McLaren Edition. Time for triple rear cameras? OnePlus 6T is a solid flagship killer with top-of-the-line internals, smooth software, great battery life but decent cameras because the phone makes do with the same sensors that we saw on its predecessors. OnePlus 6T has outshined other flagships not by the high-end specs but with its top performance that comes at a significantly lower cost. However, we will know about it in Q2 2019. The official Facebook account for Xiaomi Philippines shared a post a few hours ago teasing the launch of a new phone. The post also has the hashtag #GoSmartDoMore. The Redmi Go has an 8MP f/2.0 camera with HDR and an LED flash on its back. The camera is positioned at the top left corner of the phone. It also has a 5MP f/2.2 front-facing camera. There is Bluetooth 4.1, single band Wi-Fi, a MicroUSB port, and dual-SIM support. It also has support for 4G LTE bands 1, 2, 3, 4, 5, 7, 8, 20, and 28. Availability of these bands including dual VoLTE and dual 4G will vary between markets. There is no info on price yet. The one on Lazada is just a placeholder until the phone launches. Oppo R19 Design: Dual In-Display Cameras & Bezel Less Display Revealed! From notches to in-display fingerprint sensors to sliders, manufacturers are trying hard to move the screen space up as much as possible. The latest is Oppo R19, and the concept design seems revolutionary. The upcoming Oppo R19 will come with a new screen technology to offer a larger screen without a notch or slider. The leaked images of Oppo R19 has revealed that the flagship smartphone will come with dual in-display cameras and an in-display fingerprint sensor to offer higher screen-to-body ratio compared to current bezel-less flagships. Mechanical sliders made a comeback recently, and companies are finding ways to increase screen space as much as possible. While notches, sliders and popping cameras compensated durability, Oppo has an all new technology. The Oppo R19 concept model has two in-display holes hosting the dual selfie cameras up front. This has helped the display to take up more screen space with very thin bezels. The Oppo R models have always been about innovative features. From Oppo R15 to the R17 Pro, the company has been able to push itself outside the boundaries. 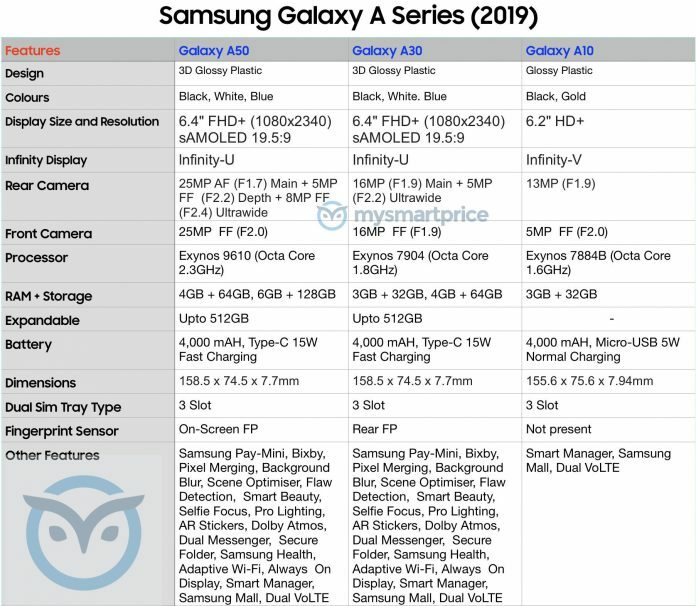 The smartphone will come with an AMOLED display, an on-screen fingerprint reader and a rear triple camera setup like P20 Pro. The smartphone will support 5G, and is expected to launch in China in the first half of 2019. The leaked images already show a 5G logo, suggesting it as the first commercial 5G phone from Oppo. The renders say that Oppo R19 will come with 6GB of RAM in two storage variants of 64GB and 128GB editions. Up front, the smartphone will come with two cameras inside the display featuring a 40-megapixel dual camera setup. The company is yet to comment on the official details but is expected to put out the official teasers soon. The leaked images suggest that Oppo R19 may come with a mighty screen-to-body ratio of more than 95 percent. The current best is the Mi MIX 3 which achieved a screen to body ratio of 93.4 percent followed by 93 percent on Oppo Find X. The much-rumored Samsung Galaxy S10 is expected to launch with the first in-display camera technology. The South Korean giant is working on a number of industry-first features for its upcoming Galaxy S10. The Oppo R19 will also pave a new way for next OnePlus flagship. The sister company is known to inspire from the designs of the R models, so we may see some inspiration on the upcoming OnePlus 7 as well. OnePlus is known to take from OPPO R-series designs, so probably the company will adopt the new display design for OnePlus 7. Coming to the Oppo R19, the smartphone likely arrives in March 2019, with an expected Pro version. In the hyperactive world of gadgets, it typically takes three iterations for a product to discover its purpose. Over the journey of evolution, obvious creases are ironed out. The Apple Watch is no different. What stands out though, is that the Apple Watch is already the highest selling watch. Period. Obviously luxury brands didn’t stand a chance in volume. But across the segment, Apple seems to have gained an edge. Since the Apple Watch Series 4 is here, and I’ve been able to get it on my hand, quite literally, here are my first impressions. The new Apple Watch has a larger screen, thanks to its edge display. It's lighter, louder, and packs more features. The initial complaint against smartwatches was that you still needed a phone to do much of the activities. That changed earlier in the year with the Apple Watch Series 3 Cellular variant. Now we’re still not quite there yet. You can’t have the Apple Watch as the company’s only product you use independently. You’ll still need an iPhone to go through setup and fundamental use. Cellular connectivity however helps you stray away from your phone when you need to. If you ever decide to stay away from your iPhone then this has you covered. With the Apple Watch Series 4, you get a digital crown that feels new. For one, it feels softer to use, and now includes haptic feedback. On the earlier Apple Watch Series 3, while you still got feedback, it was from the Watch itself, but with the new Series 4, the Digital Crown itself lets you know how you’re progressing through its interface. The dial on the Apple Watch Series 4 is still a curved rectangle. Very close to a square but still more portrait-ish. If you have a fetish for round watch dials, you’ll have to wait it out. It wouldn’t be entirely wrong to say that watchOS loves square dials while Android Wear loves round dials. The new Watch Series 4 is larger, slimmer, feels lighter with more features packed in. Let’s take a look at these. Design changes in the Apple Watch mean you now have a louder speaker, one’s that more resourceful in crowded and busy areas, allowing you to take calls at ease. To avoid interference and echo with the mic on device, Apple moved the mic to the opposite side of the speaker. All water and swim-proof features continue from the earlier generations. So why does audio on the watch matter? Entertainment and productivity aside, purely for safety. More audible and clear audio means you don’t have to slouch while talking, or going about your tasks, just to hear or be heard. If you go by Apple’s focus on safety with fall detection and calling out to emergency services on your behalf, you would want to be sure of its efficient audio relaying capabilities. This is one reason that makes the Series 4 an important consideration. A new feature addition here is fall detection, where the watch alerts you, the local emergency service in India (emergency number 112), and your emergency contacts with your location. Apple has researched the nature of falls over years, and believes there are three types of drops. A forward fall, a backward fall and a straight drop. Three instances could be if you step on something slippery and fall on your back, or if you trip over something and fall forward, or third, if you simply faint and drop straight down. Either way, there’s a rate of descent, a pattern with which you fall and a peculiar movement. All of these parameters have been researched by Apple and factored into its algorithms to trigger in emergencies. They can’t be faked, and hence come across as a resourceful function to have. This is why the effective audio on the watch effectively complements its design purpose. If you’re hurt, you might not be able to speak loudly or with clarity. The Apple Watch Series 4 is available in two options – GPS and Cellular. The GPS variant is priced at Rs 40,900. The Cellular variant is priced at Rs 49,900. Both variants go on sale starting October 19 in India. The Apple Watch Series 4 has widened the feature gap with its competition. The software-hardware collaboration, the intelligence designed into its algorithms would ensure you are safe, focussed on working out, and are aware of your surroundings with air quality, ultraviolet levels, and can tap into numerous apps to continue seamless work and entertainment wherever you are. 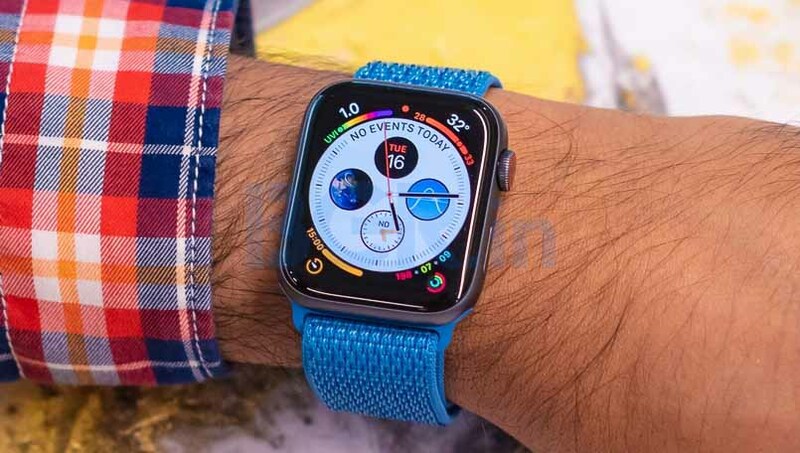 Although the new watches are priced at over Rs 40,000, much of these features can be experienced at close to half with the Series 3. But then, it’s not the same thing. 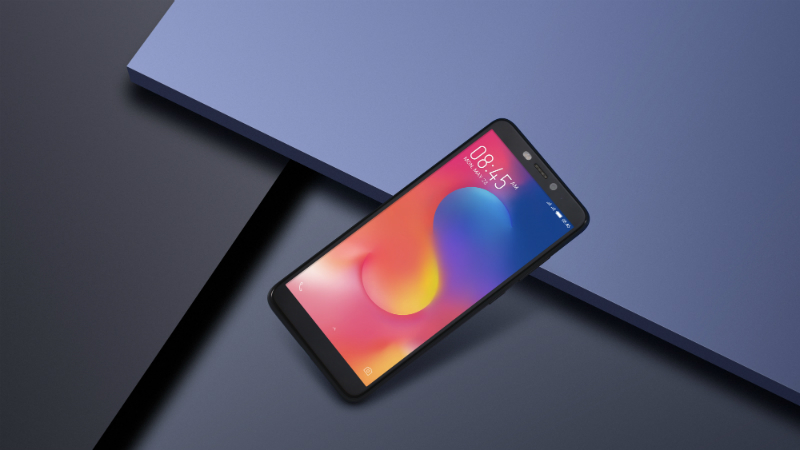 Chinese smartphone maker, Lenovo has unveiled two new smartphones- Lenovo K5 Pro and Lenovo K5s in China. Both the devices were launched alongside the company’s flagship handset, the Lenovo S5 Pro. The Lenovo K5 Pro sports the Qualcomm Snapdragon 636 chipset, which we have seen on Lenovo Z5 smartphone earlier. The Lenovo K5s, on the other hand, has the MediaTek Helio P22 chipset, so it’s an entry-level smartphone. Both the devices sport dual rear cameras and they’ll be limited to the Chinese market for now. Recently, the Motorola-owned company said that it would launch new models going forward in India, but it did not state when it will bring these smartphones to the sub-continent. The K5 Pro is a mid-range handset sporting the Qualcomm Snapdragon 636 chipset. The phone flaunts a 5.99-inch Full HD+ display, carrying a resolution of 1080×2160 pixels and 18:9 aspect ratio. Lenovo confirmed the phone has a 2.5D curved glass, Corning Gorilla Glass 3 on top and it can get up to 450nits bright. At the heart of the Lenovo K5 Pro, we have the Qualcomm Snapdragon 636 chipset, clubbed with 4GB/6GB of RAm and 64GB/128GB of internal storage. The storage can be expanded up to 246GB with a microSD card. This dual-SIM smartphone comes laden with Android 8.1 Oreo-based ZUI out of the box. Cameras on the handset include a 16MP primary one on the rear side which works in tandem with a 5MP secondary depth sensor. On the front, it rocks dual cameras of 16MP and 5MP and offers hardware-based bokeh effect to the images. The phone has a 4050mAh battery and weighs 165 grams. 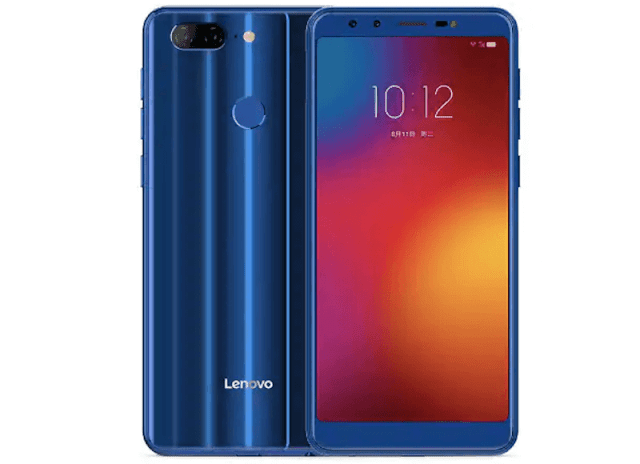 The phone measures 155.98×74.98×7.98mm and it offers connectivity options such as 4G LTE, VoLTE, Wi-Fi 802.11ac, Bluetooth 5.0, GPS and a USB Type-C port. Lenovo also added fast charging support to the handset. Moving onto the Lenovo K5s, it’s the same Lenovo K9 smartphone launched by the company a couple of days ago in India. The Lenovo K5s rocks a 5.7-inch HD+ display with a resolution of 720×1440 pixels and 18:9 aspect ratio. Under the hood, the phone is powered by the MediaTek Helio P22 chipset, clubbed with 4GB of RAM and 32GB of internal storage. This is the only change as the Lenovo K9 arrived with 3GB of RAM and 32GB of storage in India. The storage can be further expanded up to 256GB using a microSD card. Like the Lenovo K5 Pro, the K5s also sports dual cameras on the front and rear. Both the front and rear cameras include 13MP+5MP sensors which will provide hardware-based bokeh effect. 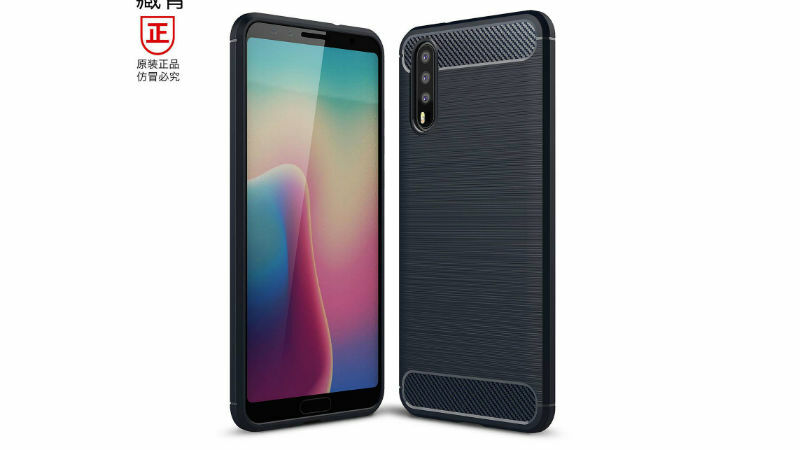 The phone comes armed with a 3000mAh battery and connectivity options in the handset include Dual 4G, VoLTE, Wi-Fi 802.11 b/g/n, Bluetooth 4.2, GPS and USB Type-C port. It measures 153.8×72.9×7.95mm and weighs 155 grams. At the CES 2017, Xiaomi launched the Android TV based setup-box called Mi Box in the U.S. However, the company hasn’t launched the Mi Box in India, its largest market outside of its home country. Interestingly, the company now launched the 55-inch premium Mi LED Smart TV 4 alongside the Red Note 5 and Redmi Note 5 Pro smartphones. The Mi TV 4 measures just 4.9mm thick and the company claims it to be the world’s thinnest LED TV. Unlike the Mi Box, the Mi TV comes with the newly launched in-house PatchWall UI. However, the company has made certain tweaks to suit the Indian audience and is offering few premium services for free for a certain period. The Mi Remote which comes with Mi TV 4 lacks the voice input but comes with other advanced features. The two 8W speakers with Dolby+ DTS quality onboard the Mi TV 4 are reasonably louder for watching TV. The Mi TV 4 comes with a 55-inch 4K (3840 x 2160 pixels) panel that also supports HDR playback. It offers 60Hz refresh rate and 178-degree clear view. It is powered by 64-bit Amlogic T968 quad-core processor with Cortex A53 cores clocked at 1.8GHz and Mali T830 MP2 GPU. There is 2GB of RAM and 8GB of internal storage. On the connectivity front, the Mi TV 4 comes with Wi-Fi 802.11 a/b/g/n, Bluetooth 4.0 LE, 3 HDMI 2.0 port, 1 USB 2.0 port, and 1 USB 3.0 port. Unlike smartphones, specifications don’t matter much while purchasing TVs. 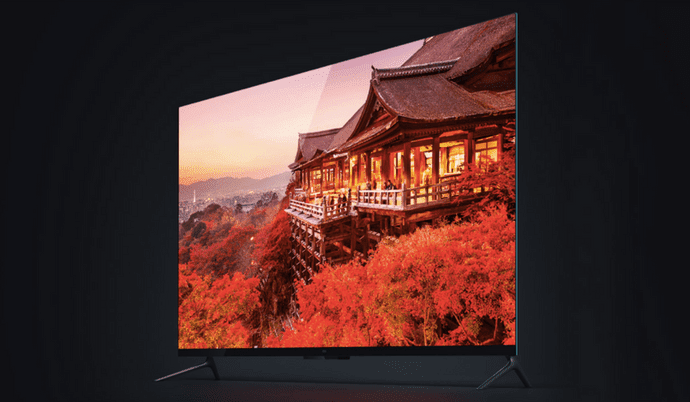 While the major brands like Sony and Samsung still rule the premium TV market, the online brands like VU and TCL are offering decent products at much lower cost. 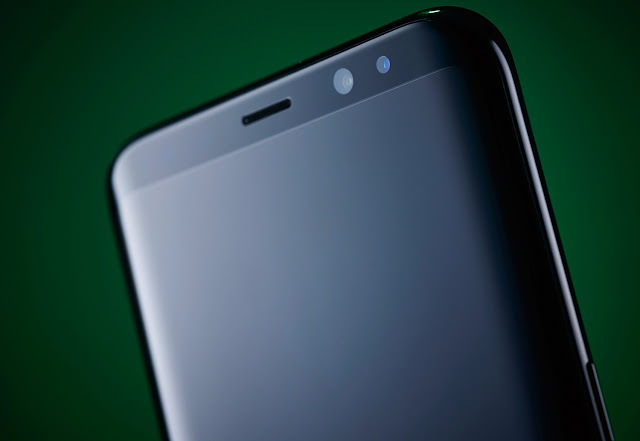 Honor 9 Lite has reached the Western European market weeks after its debut in the Chinese and Indian markes. The new smartphone by Huawei brand Honor will go on sale in Germany, Italy, Spain, France, and the UK with a price tag of EUR 229 (approximately Rs. 18,200). It will come in three colour options, Midnight Black, Sapphire Blue, and Glacier Grey, and will go on sale through HiHonor.com. In India, the Honor 9 Lite was launched last month at a starting price of Rs. 10,999. The smartphone is available in two different variants in India and China - with 3GB RAM and 32GB storage as well as 4GB RAM and 64GB storage. On the other hand, it comes in Europe in just the 3GB RAM configuration. Huawei's Honor is touting Honor 9 Lite as one of its "best-in-class" devices. The smartphone has so far been available in India through five flash sale rounds via Flipkart. The dual-SIM (Nano) Honor 9 Lite runs Android 8.0 Oreo-based EMUI 8.0 and features a 5.65-inch full-HD+ (1080x2160 pixels) IPS display with 18:9 aspect ratio. Under the hood, the handset has an octa-core 2.36GHz Huawei HiSilicon Kirin 659 SoC. Honor 9 Lite sports dual camera setup on both the front and the back. Both dual camera setups have a 13-megapixel primary camera sensor and a 2-megapixel secondary camera sensor. Also, the rear camera is accompanied by LED flash and PDAF autofocus lens. For storing content, the Honor 9 Lite in the European markets comes with 32GB onboard storage that is expandable via microSD card (up to 256GB) in a hybrid dual-SIM configuration. The smartphone has 4G VoLTE, Bluetooth, Wi-Fi 802.11 b/g/n, GPS/ A-GPS, Micro-USB with OTG support, and a 3.5mm headphone jack. Sensors on board include accelerometer, ambient light, magnetometer (digital compass), and proximity sensor. Besides, the handset packs a 3000mAh battery that is touted to deliver up to 24 days of standby time on a single charge. Dell on Tuesday announced the launch of the Dell XPS 13 in India, which was unveiled at CES last month. The XPS 13, claimed to be the smallest 13-inch laptop in the world, comes with the latest 8th generation Intel Core processors, a 4K Ultra HD InfinityEdge display on select variants, and a claimed battery life of more than 19 hours on a single full charge of the full-HD variant. Dell XPS 13 price in India and availability Dell XPS 13 price in india is Rs. 94,790 for the Core i5 variant (full-HD display), Rs. 1,41,490 for the Core i7 variant (full-HD display), and Rs. 1,59,790 for the Core i7 variant (Ultra HD display). The laptop will be available for purchase right now via Dell's official website, though a starting price of Rs. 97,990 was being reflected online at the time of filing this report. Additionally, the Dell XPS 13 will be sold across Dell exclusive stores, Croma, Reliance Digital outlets, starting February 20. The Dell XPS 13 will be available in Rose Gold and Alpine White colour variants. A limited edition variant will also be available in Platinum Silver, with a Black carbon fibre palm rest. Dell XPS 13 specifications The base variant of the Dell XPS 13 sports a 13-inch full-HD (1080x1920 pixels) display. It is powered by an 8th generation quad-core Core i5-8250 processor, coupled with 8GB LPDDR3 RAM and 256GB PCIe SSD. The middle variant also sports a 13-inch full-HD (1080x1920 pixels) display. The variant is powered by an 8th generation quad-core Core i7-8550 processor, coupled with 16GB LPDDR3 RAM and 512GB PCIe SSD. The top end variant sports a 13-inch Ultra HD (2160x3840 pixels) display with HDR support. It is powered by an 8th generation Intel Core i7-8550 processor, coupled with 16GB of LPDDR3 RAM and 512GB PCIe SSD. All variants come with Windows 10 Home with Office Home and Student 2016 pre-installed. The Dell XPS 13 features USB Type-C 3.1 (Gen 1), an inbuilt battery capacity of 52Whr, and password-free login with a Windows Hello and IR camera. The Dell XPS 13 is also the first laptop from Dell to come with GORE Thermal Insulation that helps cool down the system during high-intensity tasks. 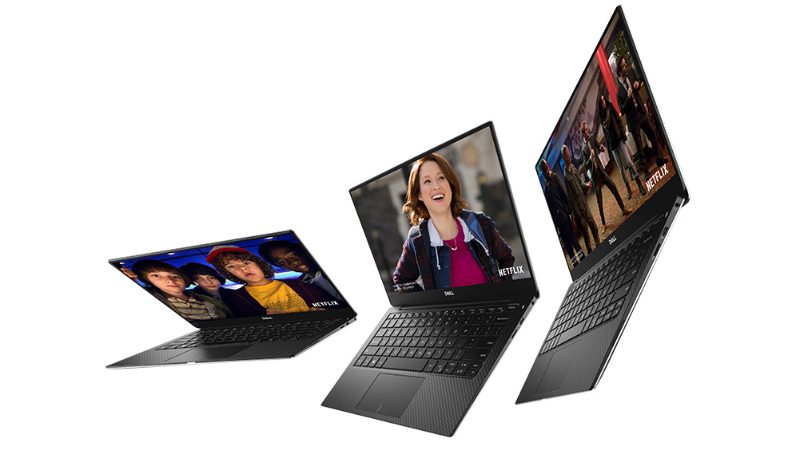 It also introduces Dell Cinema, an immersive cinematic experience, that brings features like CinemaColor, CinemaSound, and CinemaStream to the premium laptop. HTC U11+, the Taiwanese company's first smartphone with an edge-to-edge display, has launched in India. HTC had unveiled the smartphone back in November 2017 promising that the U11+ will go on sale in "select markets." In India, the premium smartphone will be exclusively available on Flipkart from February 7. The smartphone will initially be available in an Amazing Silver colour variant, but a Ceramic Black colour model will be available soon. The smartphone will compete with the likes of Samsung Galaxy S8 and Apple iPhone 8. 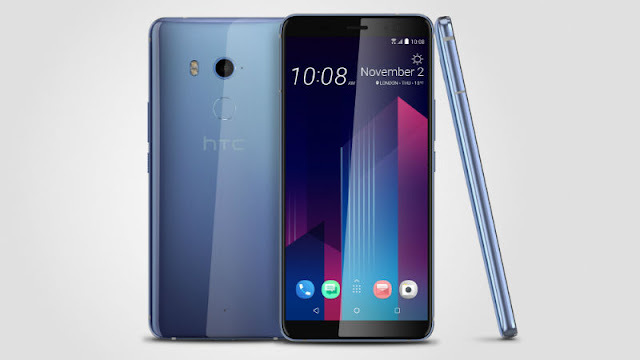 HTC U11+ price in India HTC U11+ price in India has been set as Rs. 56,990, with the handset going on sale via Flipkart from Tuesday, February 7. HTC had launched the smartphone last year at EUR 799 (roughly Rs. 64,000); the smartphone had already been listed on the company's India site. HTC U11+ specifications The HTC U11+ runs Android 8.0 Oreo out-of-the-box with the company's HTC Sense UI running on top. The smartphone features a 6-inch Quad HD+ Super LCD 18:9 display with a screen resolution of 1440x2880 pixels. It comes with Corning Gorilla Glass 5 for protection. The smartphone is powered by an octa-core Qualcomm Snapdragon 835 SoC clocked at 2.45GHz coupled with either 4GB or 6GB of RAM. However, currently, the Flipkart listing shows only the 6GB variant. When it comes to the camera, the HTC U11+ sports 12-megapixel UltraPixel camera with autofocus, BSI sensor, OIS, f/1.7 aperture, and dual LED flash. Further, there is an 8-megapixel camera with BSI sensor and f/2.0 aperture at the front. The handset also supports 4K video recording. In terms of storage, the smartphone will be available in 64GB or 128GB internal storage variants. The HTC U11+ is powered by a 3930mAh battery and comes with QuickCharge 3.0 support. 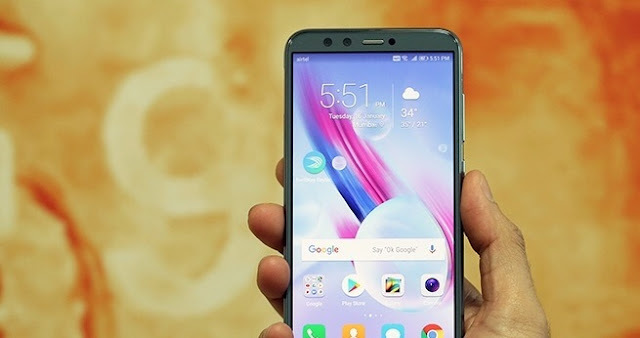 When it comes to connectivity, the smartphone includes USB Type-C 3.1, Bluetooth 5.0, Wi-Fi 802.11 a/b/g/n/ac, NFC, DLNA, and Miracast. There is a fingerprint scanner at the back. In terms of dimensions, the smartphone measures 158.5x74.9x8.5mm and weighs 188 grams. The handset comes with a translucent glass back and will sport IP68 certification for water and dust resistance. HTC U11+ comes with Google Assistant and Amazon Alexa, and they can be integrated with Edge Sense. HTC's Edge Sense enables users to access apps, launch the camera, or launch a voice assistant with squeeze gesture on the sides. The smartphone also comes with the HTC Sense Companion that reads a user's daily patterns over time and offers information as and when needed. It also packs HTC's BoomSound speakers and HTC USonic earbuds. HTC says that BoomSound on HTC U11+ is the loudest ever put on a smartphone made by the company, and it is 30 percent louder than the HTC U11. Transsion Holdings-owned Infinix Mobile on Tuesday announced the launch of the Infinix Hot S3 in India. The all-new Infinix Hot S3 features a 20-megapixel selfie camera that comes equipped with a dual soft light LED flash. It is also the first phone from Infinix to offer a Full View display. Infinix Hot S3 price in India, release date The Infinix Hot S3 price in India for the 3GB RAM/ 32GB storage variant is Rs. 8,999, while the 4GB RAM/ 64GB storage variant costs Rs. 10,999. The handset will be available exclusively via Flipkart, with the first sale to be held on February 12. It will be available in Sandstone Black and Brush Gold colour options. 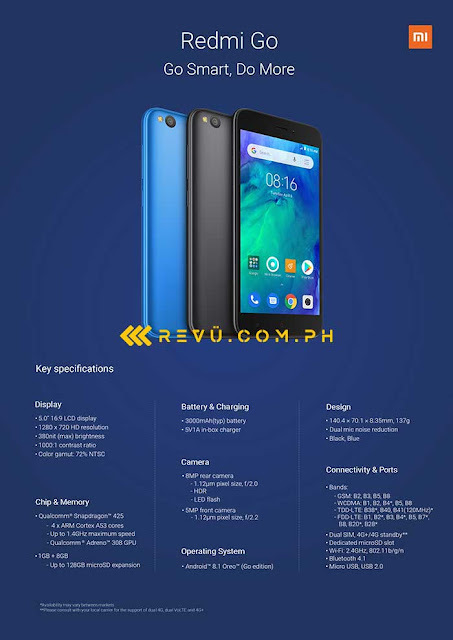 Infinix Hot S3 specifications The Infinix Hot S3 is a dual SIM (Nano) smartphone that runs XOS 3.0 based on top of Android Oreo. The phone sports a 5.65-inch HD+ (720x1440 pixels) 2.5D Full View display with a screen-to-body ratio of 81 percent. It is powered by an octa-core Qualcomm Snapdragon 430 SoC, coupled with Adreno 505 GPU and 3GB/ 4GB of RAM. In the camera department, the smartphone features a 13-megapixel rear sensor with PDAF, f/2.0 aperture, 5P lens, and dual LED flash. There is also a 20-megapixel selfie camera with f/2.0 aperture, 5P lens, and dual LED flash. The Hot S3 packs in 32GB/ 64GB of inbuilt storage, expandable via microSD card (up to 128GB). Connectivity options include Bluetooth 4.2, OTG support, Wi-Fi, 4G VoLTE, and a 3.5mm headphone jack. Sensors on the phone include Ambient Light sensor, Proximity sensor, G-sensor, and a rear-mounted fingerprint sensor. Huawei will be launching its latest lineup of smartphones next month and at least one of the models will come with three rear cameras. The Shenzen-based manufacturer will announce the successor to the P10 flagship smartphones, which is expected to be named Huawei P20, next month. Meanwhile, smartphone case makers in China have leaked images of cases allegedly made for the Huawei P20, showcasing a triple camera setup as well as an iPhone X-like notch in the front. Huawei was expected launch its new smartphones at the Mobile World Congress (MWC) to be held at the end of this month. However, the company has reportedly sent press invites for a launch event that will take place in Paris on March 27. Reports have suggested that Huawei has been working on three new smartphones - the Huawei P20, Huawei P20 Lite, and Huawei P20 Plus - and might launch them at the event. Meanwhile, leaked images of cases of one of these smartphones, posted by SlashLeaks, suggest a vertically arranged triple rear camera setup. The leaks revealing details about the camera is in line with some of the earlier reports. Famous tipster Evan Blass, in December 2017, had said that the next Huawei P-series is going to be an "imaging powerhouse." In his leaks, Blass claimed that the camera might feature a 40-megapixel camera with 3 rear lenses and 5x hybrid zoom. He had also added that there will be a 24-megapixel selfie camera packed in the handset. All the lens are expected to be co-developed with German camera manufacturer Leica. The next smartphone in the Huawei P-series is also rumoured to ship with the 'Point Cloud Depth Camera' which is similar to Apple's 'TrueDepth Camera' used in the face ID feature. Huawei had first revealed the details of its upcoming Face ID rival at the launch of the Mate 10 in 2017. 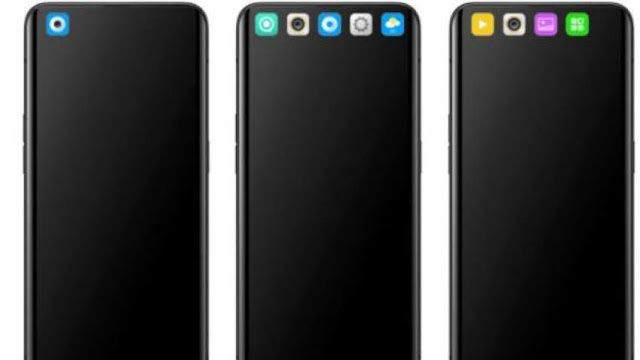 Thanks to this technology, the Huawei P20 may come with a notch at the top bezel similar to the iPhone X. Meanwhile, one of the leaked images also shows off the iPhone X-like design. However, this design may also be limited to the premium variant as one of the leaked images show a case without the notch. Additionally, the other reports have indicated that the Huawei P20 family may ship with the Kirin 970 AI-powered processor and run Android Oreo. It should be noted that as Huawei has not announced the smartphones officially, we should take these speculations with a pinch of salt, and wait for the event scheduled for next month. Sony has launched a new mid-range smartphone in the Indian market today. Dubbed as the Sony Xperia L2, it was first unveiled at the CES 2018 event last month. The smartphone is currently available across all the retail stores in two colours- Black and Gold. The phone is priced on a steeper side at Rs 19,990 and takes on the likes of Moto X4, Oppo F5, and Vivo V7+. Sony Xperia L2 Specifications and Features The Sony Xperia L2 comes with modest specifications, especially for the asking price of Rs 19,990. The smartphone flaunts a 5.5-inch HD display with a resolution of 1280 x 720 pixels. Sony has added its Image Enhance technology in the L2 and the display is protected by Corning Gorilla Glass technology. Internally, the phone is powered by a MediaTek MT6737T chipset which is coupled to Mali-T720 GPU and 3GB of RAM. The phone offers 32GB of internal storage which can be expanded up to 256GB with a dedicated microSD card. It boots Android 7.1.1 Nougat out of the box with slight modifications here and there. At the rear of the phone, there’s a fingerprint scanner, and the phone even has dual SIM support. It measures 9.8mm in thickness and has a weight of 178grams to it. Optics in the Xperia L2 includes a 13MP sensor at the back with LED flash, f/2.0 aperture, and 1/3.06-inch sensor. To the front, we have an 8MP selfie shooter with 120-degree wide-angle lens and f/2.4 aperture. Connectivity options include 4G LTE, VoLTE, Wi-Fi 802.11 b/g/n, Bluetooth 4.2, GPS, USB Type-C port, NFC, and a 3.5mm headphone jack. The phone is backed by a 3300mAh battery with Qnovo Adaptive Charging technology. 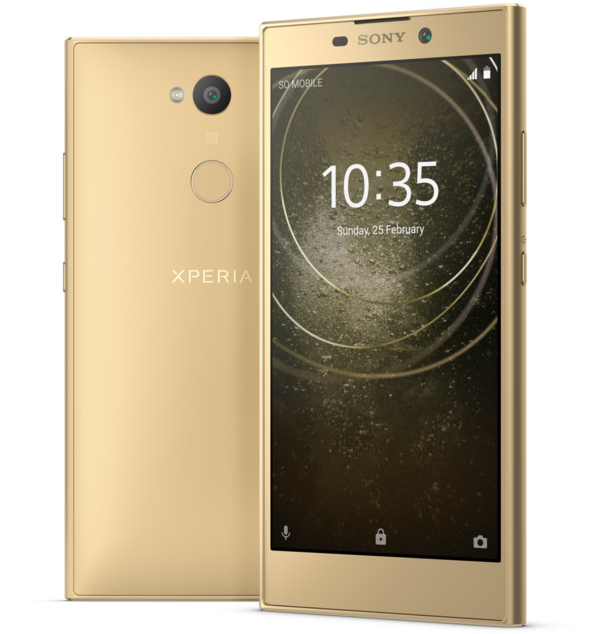 Sony Xperia L2 Pricing and Availability Late last year, Sony impressed one and all with its pricing for the Xperia XZ1 flagship smartphone. But that joy seems to be only for a single smartphone as the Xperia L2 is an overpriced smartphone by a huge margin. We are getting the same specifications for below Rs 10,000. Sony should look after a new business model to succeed in the Indian market. The phone will be available in Black and Gold colour options at Rs 19,990. It seems like the L2 will be an offline-only model. After OnePlus and Vivo, now Intex has also launched a smartphone with Valentine's Day theme. The domestic handset manufacturer has launched the Royal Red Limited Edition of its ELYT Dual smartphone. The company launched the ELYT Dual smartphone in November last year in India at Rs 6,999. At that time the company introduced Champagne and Black colour variants. The new Royal Red Limited Edition of the smartphone is available across retail stores in the county. For those unaware, the USP of I ntex ELYT Dual smartphone is its camera. The smartphone comes with an 8MP+2MP auto focus selfie camera with LED flash. The company claims that the front camera is capable of capturing images with bokeh effect. Along with this, the camera also offers night-shot mode which helps users to capture good images in low-light. The device also comes with a beautification features such as eye enlargement and face slimming for the selfie lovers. The rear of the handset houses an 8MP shooter with LED flash. 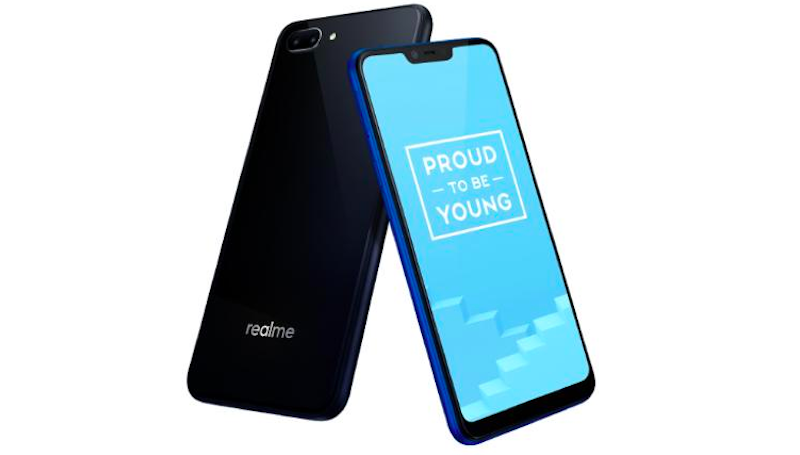 The company also adds that the device comes with in-built filters including 'Face Filter' and Spy Cam that allow users to take pictures discreetly. The Intex ELYT Dual smartphone boasts of a 5-inch HD display with 720x1280 pixels resolution. The smartphone is powered by a 32 Bit1.3 GHz Quad Core processor and runs Android 7.0 Nougat operating system. The device offers 2GB of RAM and 16GB internal storage which can be expanded further by adding a microSD card. The smartphone offers 4G, 3G, Bluetooth, GPS/AGPS, Wi-Fi as connectivity options and is backed by a 2400mAh battery. 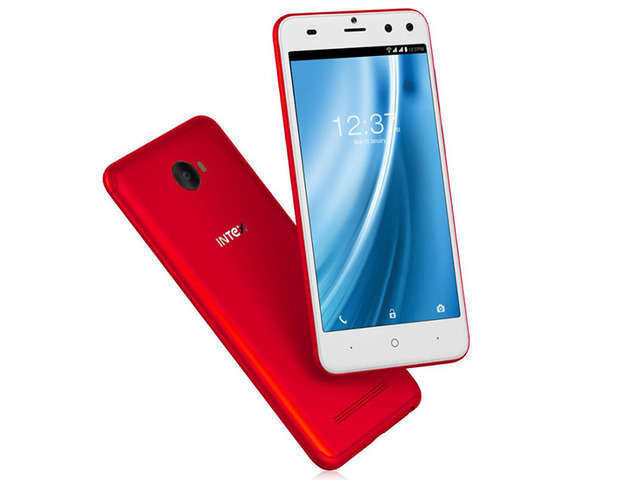 Commenting on the launch, Markanday, Director, Intex Technologies, said, "February is the month of love and to celebrate it we have introduced the limited edition Royal Red version of ELYT Dual as a perfect gifting option. The top notch dual camera qualities enable users to capture special moments with loved ones. The ELYT Dual Red edition is our way of making the special day memorable for consumers." Even though the upcoming Mobile World Congress will be the platform that will witness the key launches of the year, the Indian smartphone market is already brewing up with launches. 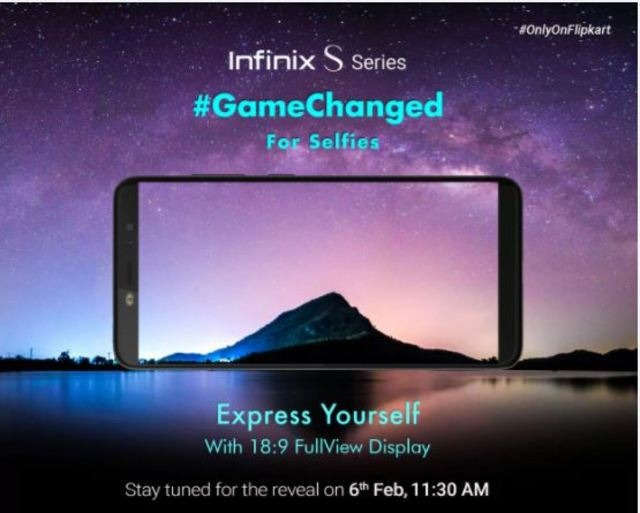 Hong Kong-based smartphone manufacturer Infinix is set to launch a new S series of smartphones in the country tomorrow (February 6), which will exclusively be available on Flipkart. The company has been teasing the handset on Twitter for the past few days with the hashtag #GameChanged. The handset is already listed on the e-commerce platform with several teasers that say that the handset will be a bezel-less device with an 18:9 aspect ratio. Also, the listing reveals that the handset will boast of an impressive selfie camera that will have features that will assist in capturing wide angle shots, images in low light and bokeh effect selfies. Recently, the company launched the Infinix launched its flagship smartphone Infinix Zero 5 in India at a starting price of Rs 17,999. The highlight of the smartphone is its dual-rear camera setup and 6GB of RAM. The handset comes in two storage variants of 64GB and 128GB. The 64GB storage variant is priced at Rs 17,999, while the 128GB version costs Rs 19,999. The users can further expand the storage up to 128GB by adding a microSD card. In terms of specs, the smartphone sports a 5.98-inch Full-HD display with 1080x1920 pixels resolution and runs Android 7.1 Nougat operating system out-of-the-box. The Infinix Zero 5 is powered by a 2.6GHz octa-core MediaTek processor with Mali-T880 GPU and comes equipped with a fingerprint sensor. For imaging duties, the smartphone has a dual rear camera setup with one 12MP and other 13MP module. There is also a 16MP front facing camera with f/2.0 aperture and LED flash. 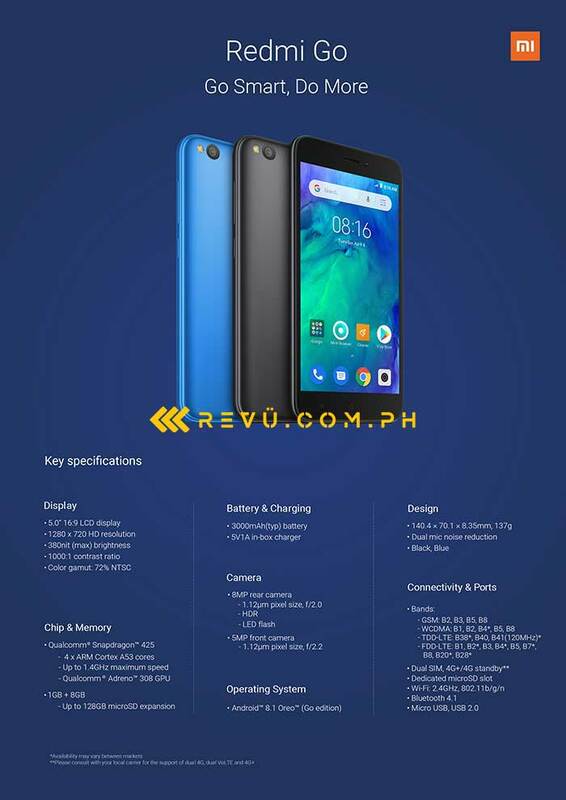 Backed by a 4350mAh battery with fast charging, the device measures 166.38 x 82.38 x 7.95mm and offers 4G, VoLTE, 3G, Wi-Fi, Bluetooth, GPS and USB Type-C as connectivity options. Nokia 7 Plus may be one of the phones HMD Global unveils at its Mobile World Congress (MWC) 2018 event in Barcelona, alongside the eagerly anticipated Nokia 9 and Nokia 1. 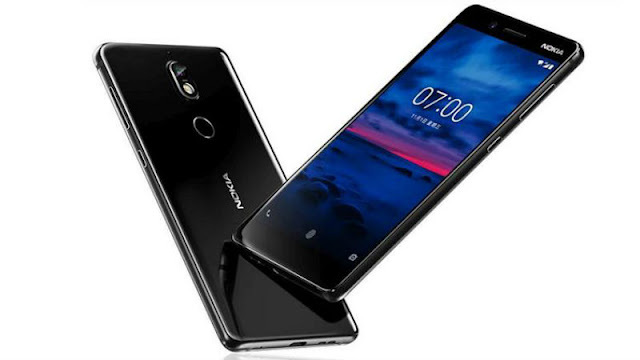 New reports have revealed the features, specifications, design and images of the Nokia 7 Plus. This comes soon after the Nokia 7 Plus was leaked via the Nokia Camera app and then spotted on Geekbench website. HMD Global will be hosting its MWC 2018 event on February 25, 2018, where it is expected to launch a host of Android phones. A report in Nokiapoweruser has leaked the features and images of the alleged Nokia 7 Plus smartphone. The leaked details reveal major specifications and design of the upcoming smartphone. A report in ithome has also revealed a few details regarding the Nokia 7 Plus. Nokia 7 Plus specifications Meanwhile, based on latest reports, the Nokia 7 Plus could sport a 6-inch 18:9 display with Gorilla glass protection. It may come with a dual-camera setup with 12-megapixel + 13-megapixel sensors with Carl Zeiss at the back, with 2X optical zoom. Also, the smartphone may pack a 16-megapixel Carl Zeiss lens. The Nokia 7 Plus will possibly run Android 8.0 Oreo out-of-the-box and will come with 4GB RAM. The Nokia 7 Plus is expected to come with an Aluminium unibody design. In terms of memory, the smartphone may pack 64GB of internal memory, expandable via a microSD card. Additionally, the mobile may feature 9V/ 2A quick-charging support and come with a USB-Type C port. The phone is also reportedly going to have the Nokia OZO 360 degree spatial audio technology. Meanwhile, an earlier report had also suggested that the Nokia 7 Plus, being the bigger version of the last year's Nokia 7, could come with a Qualcomm Snapdragon 660 processor. HMD Global is reportedly prepping for a grand start in 2018 as the Finnish brand is now rumoured to launch a new smartphone with Snapdragon 845 SoC at the Mobile World Congress (MWC) 2018. As per a new report, the Nokia 8 (2018) will be the brand’s first device with the flagship Snapdragon 845 chipset. The chipset is rumoured to be coupled with 6GB of RAM, and a 3250mAh battery will be fuelling the device. Also, the phone is expected to come with an 18:9 display. In addition, the Nokia 8 (2018) may be renamed as Nokia 8 Sirocco. Remember the Nokia 8800 Sirocco mobile phone launched way back in 2006 and earned huge praise for the company? The Nokia 8 Sirocco is expected to be a tribute to that smartphone. Recently, HMD Global trademarked the Nokia 8 Sirocco name with a model number TA-1005. So, it’ safe to assume the Nokia 8 (2018) will be Nokia 8 Sirocco. But the surprising aspect is that the phone is expected to be launched at the MWC 2018 later this month itself. While all the previous rumours said that Nokia is just working on a new Nokia 8 model for 2018, but no one expected that it would be launching this soon. Also, all the previous reports suggested Snapdragon 835 SoC for the smartphone, but today’s report from a Chinese media says Snapdragon 845 SoC will be powering the device. If that happens, the Nokia 8 Sirocco or Nokia 8 (2018) will be a major upgrade over the original Nokia 8. Other rumoured specifications include an 18:9 display, dual rear cameras of a primary 12MP sensor and secondary 13MP sensor. Also, there will be a 13MP selfie camera. All these cameras will be ZEISS certified. Another highlight of these rumoured features is the IP67 water and dust resistant properties. The phone will boot Android 8.0 Oreo out of the box and will have a USB Type-C port at the bottom which can be used to charge the 3250mAh battery inside. 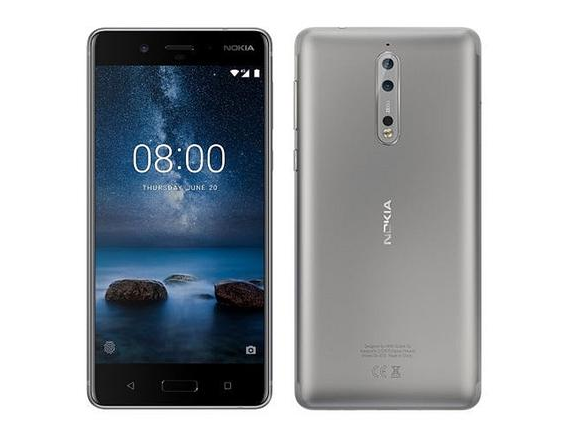 To make the way for Nokia 8 (2018), HMD Global has reduced the price of the original Nokia 8 in India. HMD Global will be launching new Nokia smartphones on February 25 during MWC 2018. The Finnish brand is expected to launch the Nokia 7 Plus, Nokia 1, Nokia 9, Nokia 7, Nokia 6 (2018), and now the Nokia 8 (2018) as well. Xiaomi has sent out media invites for the launch of the company's first product in India for 2018. With a big '5' logo on the invite, it is almost certain that Xiaomi's latest budget smartphone, Redmi 5, is expected to be unveiled in India on February 14. It is, however, currently not known whether the Redmi 5 Plus will also make an appearance at the event. As we mentioned, Xiaomi is expected to launch the Redmi 5 in India on February 14. We can expect the 2GB RAM/ 16GB storage, 3GB RAM/ 32GB storage, and the 4GB RAM/ 32GB storage variants to be sold in India. The phone was launched in China in December Black, Gold, Light Blue, and Rose Gold colour variants, with the 2GB RAM variant priced at CNY 799 (roughly Rs. 8,100) and the 3GB RAM variant priced at CNY 899 (roughly Rs. 9,100). 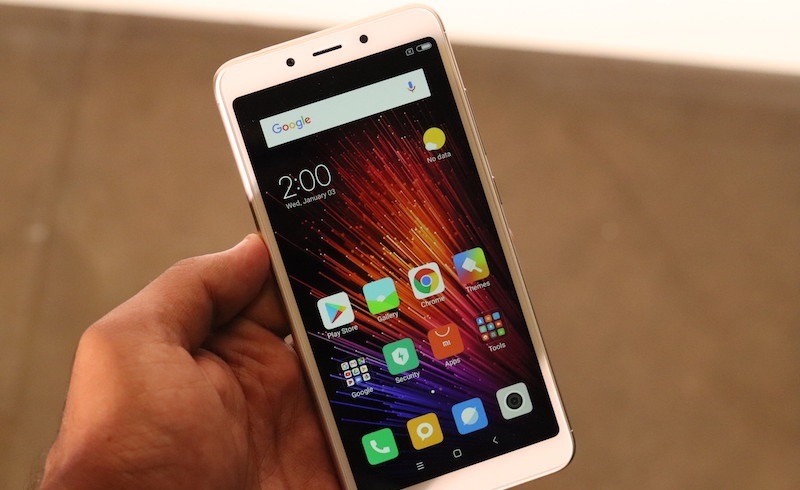 Last month, a third 4GB RAM variant was also launched at a price of CNY 1,099 (roughly Rs. 11,200). The Redmi 5 Plus 3GB RAM variant is sold for CNY 999 (roughly Rs. 10,200) in China, and the 4GB RAM variant is sold for CNY 1,299 (roughly Rs. 13,200). Availability and pricing details for India are currently unknown; we can expect confirmation at the launch event. Redmi 5 and Redmi 5 Plus specifications The Redmi 5 and Redmi 5 Plus are dual-SIM (Nano) smartphones that run MIUI 9 on top of Android Nougat. 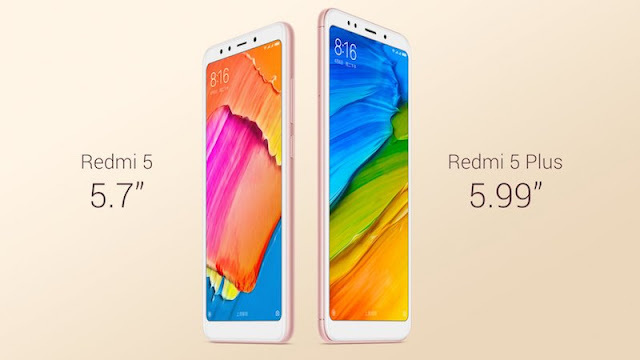 The Redmi 5 sports a 5.7-inch HD+ (720x1440 pixels) display, while the Redmi 5 Plus sports a 5.99-inch full-HD+ (1080x2160 pixels) - both with an 18:9 aspect ratio display. 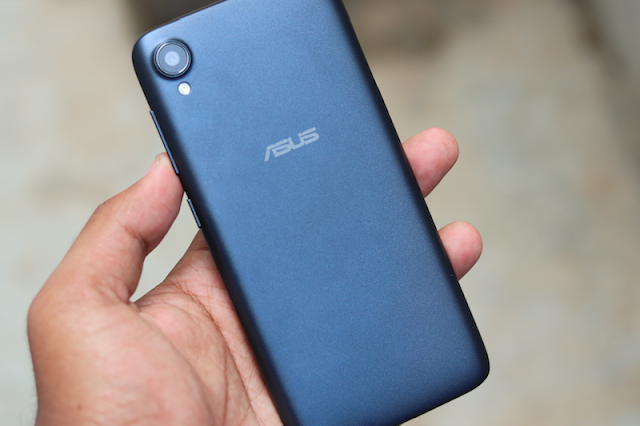 The former is powered by a Qualcomm Snapdragon 450 SoC, coupled with 2GB/ 3GB/ 4GB RAM and 16GB/ 32GB inbuilt storage. The Redmi 5 Plus is powered by a Snapdragon 625 SoC, coupled with 3GB/ 4GB and 32GB/ 64GB of inbuilt storage. In terms of camera specifications, both phones bear the same 12-megapixel rear sensor with f/2.2 aperture and PDAF. On the front is a 5-megapixel camera with soft-light selfie flash. There is a rear-mounted fingerprint sensor. Connectivity options include 4G VoLTE, Wi-Fi, Bluetooth 4.2, GPS, a 3.5mm headphone jack, and Micro-USB. Sensors on the phones include ambient light sensor, proximity sensor, gyroscope, and accelerometer. There is a 3300mAh battery under the hood of the Redmi 5, and a 4000mAh battery in the Redmi 5 Plus.